Less than 23 miles from the Canadian border at a State University of New York (SUNY) campus isn’t the first place you’d expect to find an up-and-coming marksmanship club. But after four years of planning, preparation, procedures and perseverance, that dream of Peter Visconti and his daughter Betsy has become a reality. In 2013 when Betsy began her studies at SUNY Plattsburgh as a freshman, Peter started the process of establishing an official school rifle club. As president and junior shooting coach of the local Plattsburgh Rod & Gun Club, Peter had mentored Betsy in the shooting sports throughout her young life and was now doing so for her younger sister. Neither Peter nor Betsy wanted that shooting sports experience and shared passion to end with high school. Finally, in January 2017, all that working and waiting paid off. While anticipating what they thought would be another round of forms and policy delays, Betsy and Peter received a request from the head of intramural sports for a photo and program description to add to the school’s website. Once it went live online, the SUNY Plattsburgh Marksmanship Club was eager to start recruiting, meeting and hitting the range. On February 6, the newly official club held its first meeting and quickly followed up with its first day of live shooting less than one week later. It finished up its first semester of shooting on the last Monday of April, with more than 50 students—many of whom had never before fired a rifle—participating in the inaugural season. 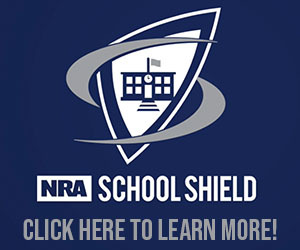 Peter, an NRA certified instructor and range safety officer with experience coaching at both the high school level and the college level at the U.S. Merchant Marine Academy, volunteers as the club’s advisor and coach. He stressed safety throughout all practices to ensure an environment that made all shooters feel comfortable and have fun. Betsy won’t get to continue experiencing the fruits of her labor first hand, but she recognizes the importance of creating this opportunity for the students who follow in her footsteps. “Although I am graduating and will not be able to participate this year, it’s nice to know the program will continue,” she notes. 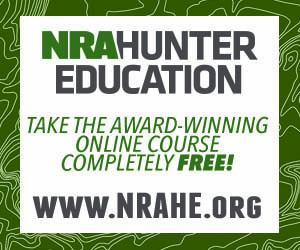 “The rifles and equipment, like spotting scopes, donated by The NRA Foundation over the past few years really made a major impact on what we were able to offer. The students really had a great time this past semester, and we all learned a lot." The availability of range space and equipment at the Plattsburgh Rod & Gun Club is playing a major role in the club’s ability to get off the ground and make participation accessible to all students. Plattsburgh Rod & Gun Club allows the students to use its space at an extremely reduce rate and shares its rifles and equipment at no cost. Over the past two years, the gun club has received more than $5,700 in granted product from The NRA Foundation for its youth shooting programs—the junior shooters and Junior Rough Riders—and the SUNY Plattsburgh marksmanship Club uses that same equipment. Despite the abbreviated introductory season, the team competed in several matches, participating in two weeks of the National Rifle League and placing about midway in the 38-team league. The SUNY marksmen and women also shot a postal match in air rifle versus SUNY Maritime and the Plattsburgh Rod & Gun Club Rough Riders. The club will start meeting again in early September and fire its first MAC Rifle Conference match in early October, putting it well on its way to becoming the competition shooting team that the Viscontis envisioned. In addition to competing in the MAC Rifle Conference against other college clubs and NCAA teams in both smallbore and air rifle, plans also include continuing to participate in the National Rifle League and NRA matches sponsored by the Plattsburgh Rod & Gun Club to provide all students the chance to compete. Isaac, an international student at SUNY, took advantage of the opportunity to experience something new provided by the marksmanship club. "As someone from a country with little gun culture, I'd never fired a firearm before,” he shares. “But a number of my extended family members were marksmen and it seemed like an interesting sport, so I thought I'd give it a try. The club was professional, competitive and very enjoyable. Looking back over the course of my first semester, I've definitely learned a lot and improved and enjoyed myself immensely. 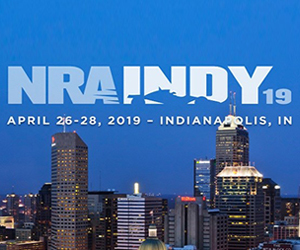 Of course we couldn't have done it without the dedicated support of our coach, and the availability of equipment from The NRA Foundation was strongly appreciated." Word of the program is spreading fast throughout the shooting community. SUNY Plattsburgh has already attracted its first experienced shooter, who will join the school and rifle team this fall. With the support of passionate mentors and shooting sports enthusiasts like Peter and Betsy Visconti, along with investment in equipment by Friends of NRA and The NRA Foundation, the SUNY Marksmanship Club is sure to make its mark on the collegiate and competitive shooting sports scenes in no time. 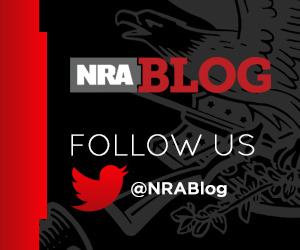 For more information about NRA Foundation Grants, click here. Photos and updates about the club can be found on its club Facebook page.